The BFI London Film Festival officially opened tonight with the European Premiere of Frankenweenie in Leicester Square. 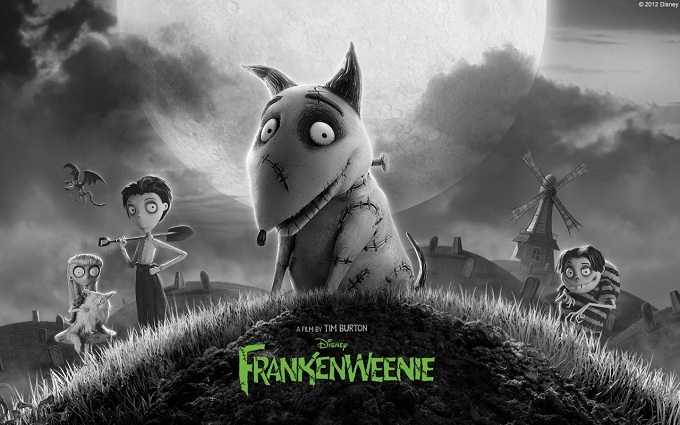 This year’s opening gala screening is Tim Burton’s new 3D stop-motion animation film. The black and white tale tells the story of a young scientist who tries to bring his beloved pet dog Sparky back to life. This year’s BFI London Film festival runs until the 21st of October, showcasing over 200 films and documentaries from across the world. Attending talents at this year’s festival include The Rolling Stones, Ben Affleck, Bill Murray, Ralph Fiennes, Marion Cotillard, Helen Hunt and Dustin Hoffman. Earlier today Tim Burton was joined at a press conference by stars Martin Short, Martin Landau and Catherine O’Hara. ‘Adopted’ Londoner Tim Burton spoke of his delight at opening this year’s festival but confessed that he was once fired by Disney when he submitted the original short movie version of Frankenweenie. Burton and his partner Helena Bonham Carter will both be honoured with the prestigious BFI Fellowship award on 20th October at this year’s festival awards ceremony.